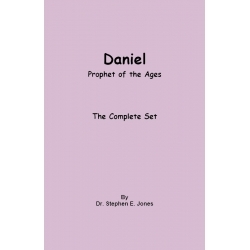 Commentaries on Books of the Bible There are 51 products. A 10 book commentary on the book of Deuteronomy in which Moses gave a series of 12 speeches just before his death at the end of Israel's wilderness journey. 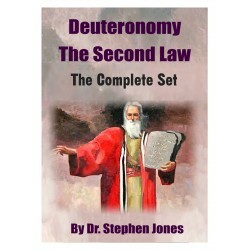 This order includes the 10 books that cover Deuteronomy chapters 1 - 34. This order does not include the book The Ten Commandments which is available separately. View For Free Online A commentary on the first speech of Moses in Deuteronomy 1-4. The book of Deuteronomy is a series of 12 speeches that Moses gave just before his death at the end of Israel's wilderness journey. View For Free Online A commentary on the second speech of Moses in Deuteronomy 5-8. The book of Deuteronomy is a series of 12 speeches that Moses gave just before his death at the end of Israel's wilderness journey. 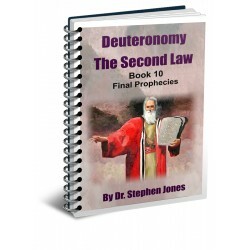 View For Free Online A commentary on the third speech of Moses in Deuteronomy 9-13. The book of Deuteronomy is a series of 12 speeches that Moses gave just before his death at the end of Israel's wilderness journey. View For Free Online A commentary on the fourth speech of Moses in Deuteronomy 14-16. The book of Deuteronomy is a series of 12 speeches that Moses gave just before his death at the end of Israel's wilderness journey. View For Free Online A commentary on the fifth speech of Moses in Deuteronomy 16-21. The book of Deuteronomy is a series of 12 speeches that Moses gave just before his death at the end of Israel's wilderness journey. View For Free Online A commentary on the sixth speech of Moses in Deuteronomy 21-23. The book of Deuteronomy is a series of 12 speeches that Moses gave just before his death at the end of Israel's wilderness journey. View For Free Online A commentary on the seventh speech of Moses in Deuteronomy 24-26. The book of Deuteronomy is a series of 12 speeches that Moses gave just before his death at the end of Israel's wilderness journey. View For Free Online A commentary on the eighth speech of Moses in Deuteronomy 27-28. The book of Deuteronomy is a series of 12 speeches that Moses gave just before his death at the end of Israel's wilderness journey. View For Free Online A commentary on the ninth speech of Moses in Deuteronomy 29-31. The book of Deuteronomy is a series of 12 speeches that Moses gave just before his death at the end of Israel's wilderness journey. View For Free Online A commentary on the tenth speech of Moses in Deuteronomy 32-34. The book of Deuteronomy is a series of 12 speeches that Moses gave just before his death at the end of Israel's wilderness journey.